The C-Class Sedan has standard NECK-PRO Front Head Restraints, which use a specially designed headrest to protect the driver and front passenger from whiplash. During a rear-end collision, the NECK-PRO Front Head Restraints system moves the headrests forward to prevent neck and spine injuries. At the same time the pretensioning seatbelts fire, removing slack from the belts. The A3 Sedan doesn’t offer a whiplash protection system. The C-Class Sedan’s driver alert monitor detects an inattentive driver then sounds a warning and suggests a break. According to the NHTSA, drivers who fall asleep cause about 100,000 crashes and 1500 deaths a year. The A3 Sedan doesn’t offer a driver alert monitor. The C-Class Sedan has standard mbrace, which uses a global positioning satellite (GPS) receiver and a cellular system to get turn-by-turn driving directions, remotely unlock your doors if you lock your keys in, help track down your vehicle if it’s stolen or send emergency personnel to the scene if any airbags deploy. The A3 Sedan doesn’t offer a GPS response system, only a navigation computer with no live response for emergencies, so if you’re involved in an accident and you’re incapacitated help may not come as quickly. Both the C-Class Sedan and the A3 Sedan have standard driver and passenger frontal airbags, front side-impact airbags, driver knee airbags, side-impact head airbags, height-adjustable front shoulder belts, plastic fuel tanks, traction control and electronic stability systems to prevent skidding. 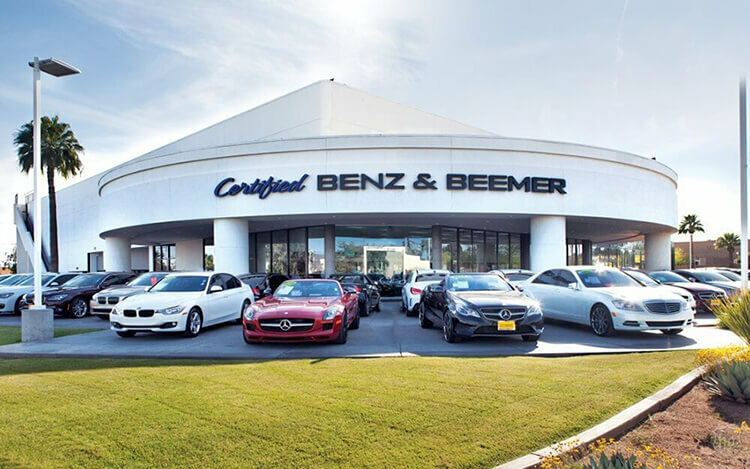 There are over 18 percent more Mercedes dealers than there are Audi dealers, which makes it easier should you ever need service under the C-Class Sedan’s warranty. J.D. Power and Associates’ 2013 Initial Quality Study of new car owners surveyed provide the statistics that show that Mercedes vehicles are better in initial quality than Audi vehicles. J.D. Power ranks Mercedes 11th in initial quality, above the industry average. With 2 more problems per 100 vehicles, Audi is ranked 13th. J.D. Power and Associates’ 2013 survey of the owners of three-year-old vehicles provides the long-term dependability statistics that show that Mercedes vehicles are more reliable than Audi vehicles. J.D. Power ranks Mercedes fifth in reliability, above the industry average. With 32 more problems per 100 vehicles, Audi is ranked 23rd. C250 Sedan 1.8 turbo 4 cyl. A3 Sedan 1.8T 1.8 turbo 4 cyl. A3 Sedan 2.0T 2.0 turbo 4 cyl. In heavy traffic or at stoplights the C300/C350 Sedan’s engine automatically turns off when the vehicle is stopped, saving fuel and reducing pollution. The engine is automatically restarted when the driver gets ready to move again. (Start/Stop isn’t accounted in present EPA fuel mileage tests.) The A3 Sedan doesn’t offer an automatic engine start/stop system. The C-Class Sedan has 4.2 gallons more fuel capacity than the A3 Sedan FWD’s standard fuel tank (17.4 vs. 13.2 gallons), for longer range between fill-ups. The C-Class Sedan has 2.9 gallons more fuel capacity than the A3 Sedan AWD’s standard fuel tank (17.4 vs. 14.5 gallons). The C-Class Sedan’s standard front and rear disc brakes are vented to help dissipate heat for shorter stops with less fading. The rear discs on the A3 Sedan are solid, not vented. The C-Class Sedan’s optional 255/35R18 rear tires provide better handling because they have a lower 35 series profile (height to width ratio) that provides a stiffer sidewall than the A3 Sedan’s optional 40 series tires. The C-Class Sedan has a standard continuously variable suspension system. Using sensors on steering angle, speed and other driver inputs, the shocks soften to improve ride, or stiffen when appropriate to aid handling on tricky roads. The A3 Sedan’s suspension doesn’t offer adjustable shock absorbers. For a smoother ride and more stable handling, the C-Class Sedan’s wheelbase is 4.9 inches longer than on the A3 Sedan (108.7 inches vs. 103.8 inches). The C-Class Sedan’s front to rear weight distribution is more even (52.4% to 47.6%) than the A3 Sedan’s (54% to 46%). This gives the C-Class Sedan more stable handling and braking. For better maneuverability, the C-Class Sedan’s turning circle is .8 feet tighter than the A3 Sedan’s (35.3 feet vs. 36.1 feet). The design of the Mercedes C-Class Sedan amounts to more than styling. The C-Class Sedan has an aerodynamic coefficient of drag of .27 Cd. That is lower than the A3 Sedan (.3) and many sports cars. A more efficient exterior helps keep the interior quieter and helps the C-Class Sedan get better fuel mileage. The C-Class Sedan has .6 inches more front headroom, .5 inches more front legroom, .8 inches more rear headroom and 2 inches more rear shoulder room than the A3 Sedan. With its sedan body style, valet key, locking rear seatbacks and remote trunk release lockout, the C-Class offers cargo security. The A3 Sedan’s non-lockable folding seat and non-lockable remote release defeat cargo security. When three different drivers share the C-Class Sedan, the optional memory system makes it convenient for all three. Each setting activates different, customized memories for the driver’s seat (memory seat optional for the front passenger), steering wheel position and outside mirror angle. The A3 Sedan doesn’t offer a memory system. The C-Class Sedan’s optional easy entry system raises the steering wheel when the door is unlocked or the ignition is switched off, making it easier for the driver to get in and out. The A3 Sedan doesn’t offer an easy entry system. Keyless-Go optional on the C-Class Sedan allows you to unlock the doors, trunk and start the engine all without removing a key from pocket or purse. This eliminates searching for keys before loading groceries, getting in the vehicle in bad weather or making a hurried start to your trip. The Audi A3 Sedan’s available Audi Advanced Key doesn’t unlock the trunk. While driving with high beams on, sensitive light sensors available for the C-Class Sedan detect other vehicles which could be blinded and automatically switch to low beams. The A3 Sedan doesn’t offer automatic dimming high beams. To help drivers avoid possible obstacles, the C-Class Sedan offers optional cornering lights to illuminate around corners when the turn signals are activated. The A3 Sedan doesn’t offer cornering lights. The C-Class Sedan also offers optional adaptive headlights to illuminate around corners automatically by reading vehicle speed and steering wheel angle. To shield the driver and front passenger’s vision over a larger portion of the windshield and side windows, the C-Class Sedan has standard extendable sun visors. The A3 Sedan doesn’t offer extendable visors. A power rear sunshade is optional in the C-Class Sedan to help block heat and glare for the rear passengers. The A3 Sedan doesn’t offer a rear sunshade. The C-Class Sedan’s standard outside mirrors include heating elements to clear off the mirrors for better visibility. Audi charges extra for heated mirrors on the A3 Sedan. The C-Class Sedan has a standard dual zone air conditioning allows the driver and front passenger to choose two completely different temperatures so people with different temperature preferences won’t have to compromise. This makes both the driver and front passenger as comfortable as possible. Dual zone air conditioning costs extra on the A3 Sedan. The Mercedes C-Class outsold the Audi A3 by almost 103 to one during 2013.